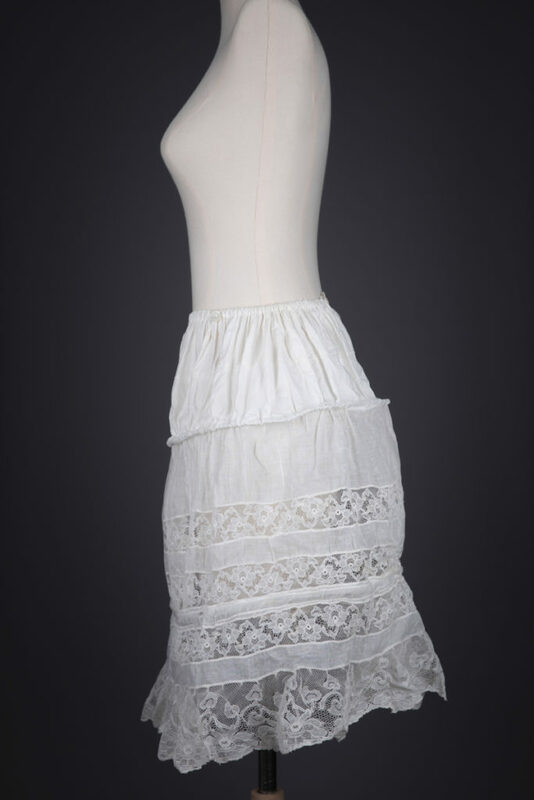 The ‘Robe De Style’ is a style of dress most associated with the 1920s, and was arguably popularized by the couturier Jeanne Lanvin, for whom it was a design signature. 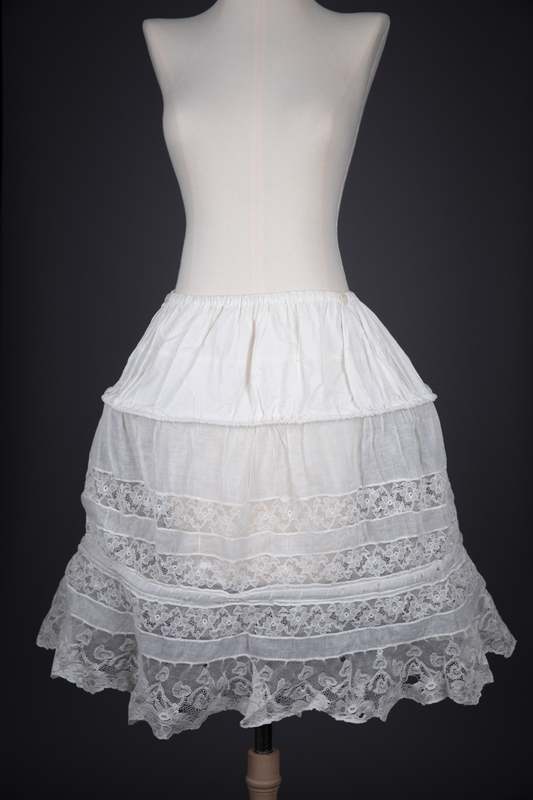 Unlike the ‘Flapper’ style straight cut chemise dress that most people associate with the 1920s, the Robe De Style was characterised by its dropped waist and very full skirt, often supported by petticoats, panniers or hoops. 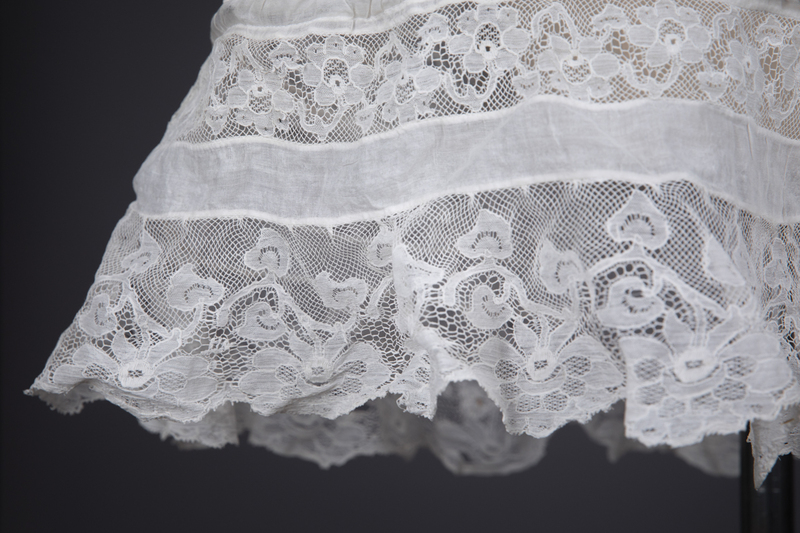 These supports could either be built into the dress, or made as a separate piece of foundationwear. 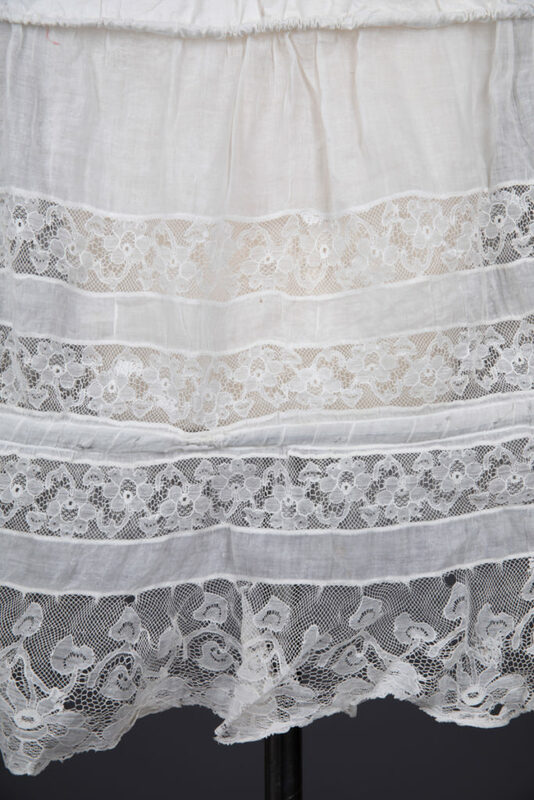 Alongside Lanvin, other noteworthy design houses that created this style included Lucile, Callot Soeurs and Boué Soeurs. 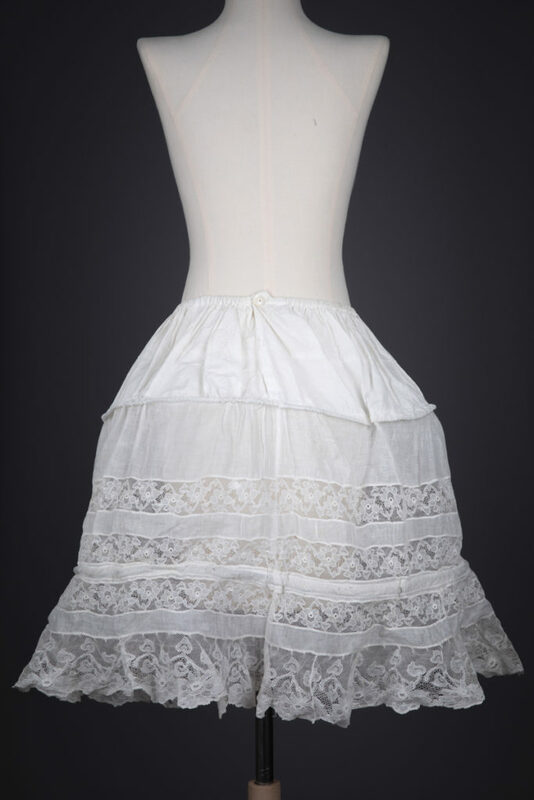 Boué Soeurs in particularly was renowned for using layered tulles and laces embellished with profuse ribbonwork, techniques that often crossed over with the lingerie designs of the period. 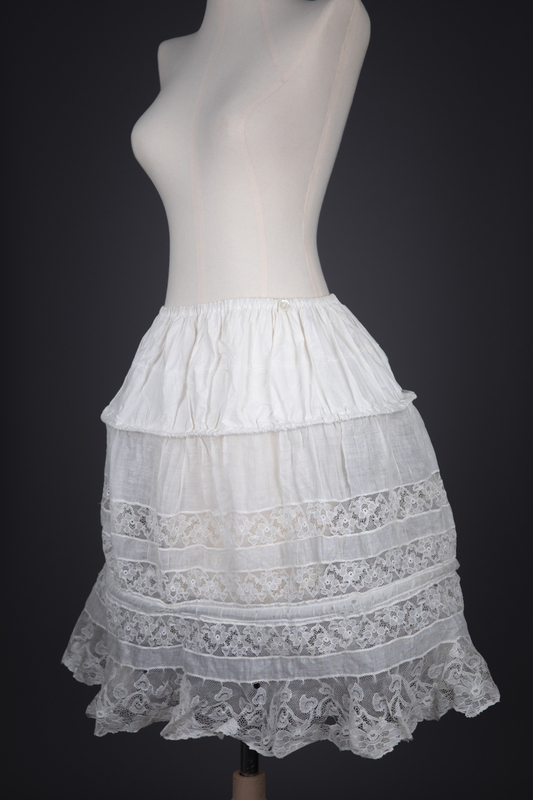 This particular pannier-style hoop skirt would have originally been worn under a robe de style dress; its original shape was ovoid, but poor storage has meant that some of the metal supports have broken and distorted. 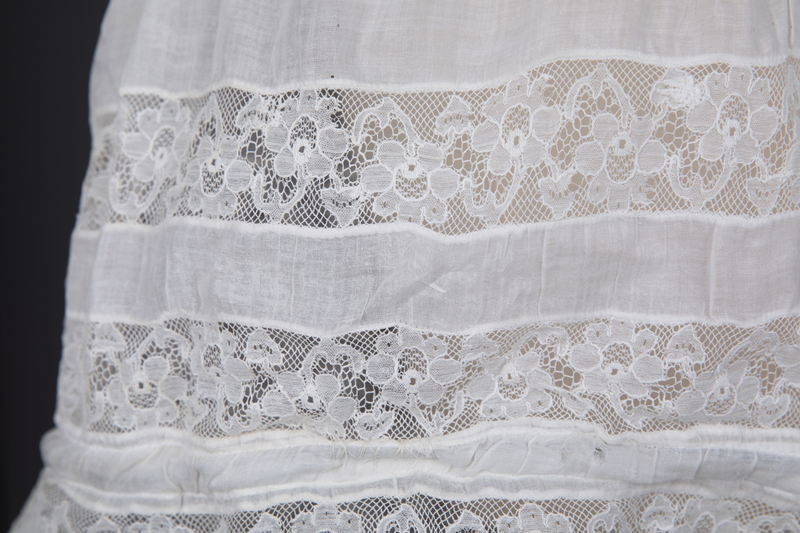 It is made from a fine cotton with rows of insertion cotton lace, with the metal hoops sandwiched in stitched channels between two layers of cotton. 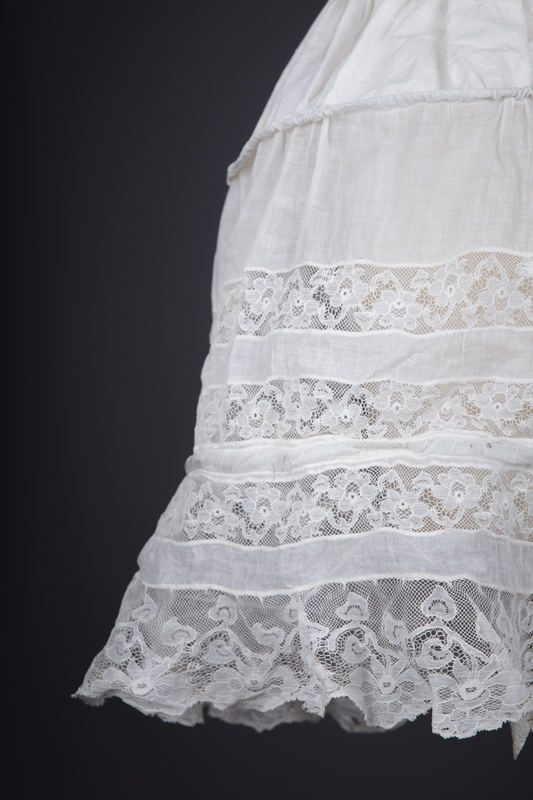 There have been numerous repairs to this skirt, with a number of tears to the lace trims and cotton. 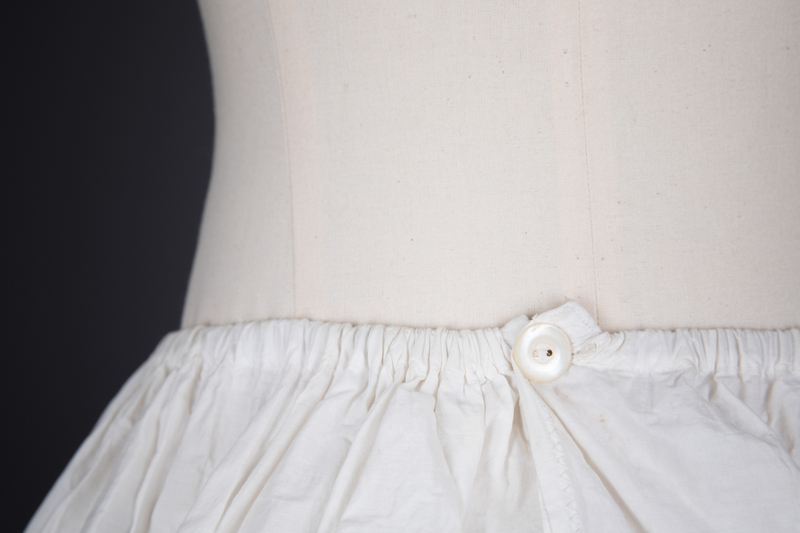 The waistline elastic was replaced at some point later within the 20th century, presumably because the original elastic perished. 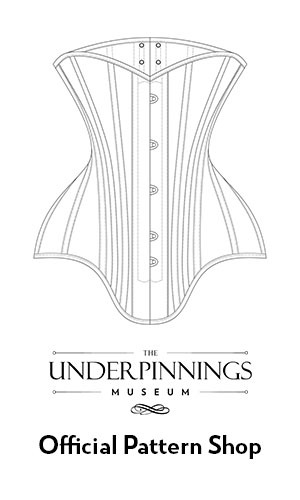 There is a button fastening at the back waistline.